Natural make up is still a big trend. And Avas makes sure to help you achieve a perfect classic look for the day with its various range of make up cosmetics and make up tools. Avas cosmetics are definitely going to be your most desired possession once you use them. 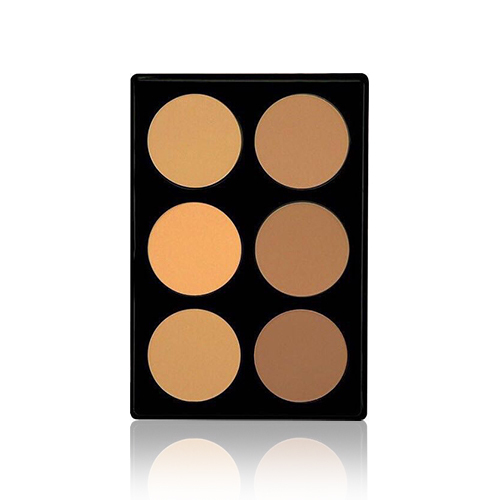 Avas Dual Foundation Palette shades have perfection in adapting every skin tone from cool skin tones to olive complexions to warm skin tones. These shades feature a unique wet/dry formula for a professional finish. This palette is a must have for every make up freak who just want to rule the day. For even longer wear, apply our face primer and then apply the foundation using circular movements, going from the centre of the face outwards. Start with the forehead and work towards the neck. Apply it with the help of foundation brush.